It will be the long awaited new iPod. Using the OSX and having the same nice UI as the iPhone! Now, it might even have wireless build in, but if it does, it will only make sense if it will also finally allow wireless iTunes synchronisation, or direct access to the iTunes store. As usual, there will be the “one more thing” at the end. 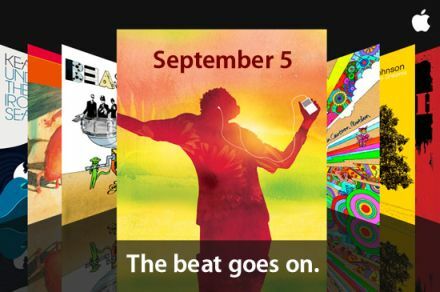 And that one will be the announcement of the availability of the complete Beatles collection in the iTunes Store. Why? The phrase on the invite gives it away. “The beat goes on” were the last words of the final Beatles press release! This entry was posted in Apple, iPhone, Music, Tech Stuff. Bookmark the permalink. Cameron - "Previous tests revealed nothing that could've caused the abdominal pain or the mood swings." House - "Then we're done. Ball game? Zoo? I don't care, I just want to hang with you guys."